Sandy was inspired to take up boxing watching her older brother Dave, who is a professional boxer, and first went to a gym when she was 15. She had her first bout aged 18 and won her first England Boxing National Elite title a year later. 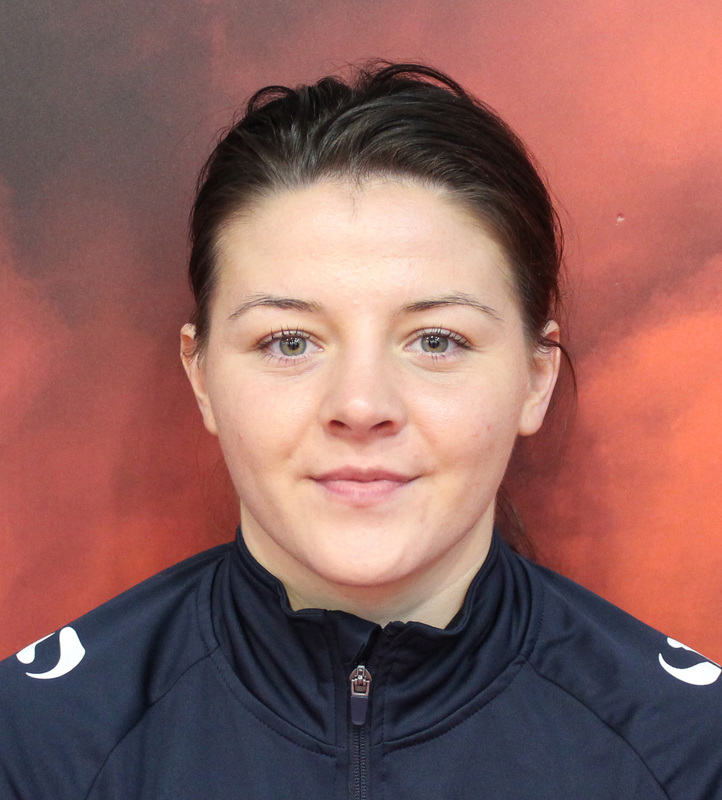 In 2014 she joined the GB Boxing squad and was swiftly promoted to the Podium group. Her career highlight came at the 2014 World Championships in Jeju City where she won a light-welterweight silver medal in her first ever major international championship. A year later, she secured bronze at the European Games in Baku and won her second England Boxing title in 2016. Sandy was selected to represent Team England in the 2018 Commonwealth Games, it was here on Gold Coast where she really put her name on the map, when she beat Rosie Eccles of Wales to become a gold medallist. Her sight is now firmly set on competing in the Olympics for GB Boxing at the 2020 Games in Tokyo. When she is not boxing Sandy enjoys going out for food and going to the cinema. She’s well known in camp for her love of ice cream and smoothies. Like many of her teammates, Sandy’s boxing idol is Muhammad Ali.